This page lists some common toxins and their effects and treatments. Diagnosing toxicity based on clinical signs is very difficult. Toxins do not always show the typical clinical signs listed here. If you suspect your pet has come in contact with a toxin, even if they aren't showing clinical signs, go to a veterinarian immediately. Mechanism of action: Intoxication is due to the ingestion of caffeine which results in stimulation of the nervous system. Treatment: There is no antidote. Treatment is supportive depending on clinical signs. Contact your veterinarian ASAP. Notes: Dark chocolate is the worse than milk chocolate, which is worse than white chocolate. Also, the higher the quality of the chocolate, the more toxic it is (e.g. baking chocolate is much more toxic that inexpensive Easter chocolate). Intoxication is due to the ingestion of theobromine which also results in the stimulation of the nervous system. Notes: The entire plant is toxic to cats. Mechanism of action: An unknown toxin causes significant damage to the kidneys leading to kidney failure within 24-48 hours after ingestion. Treatment: There is no antidote. Aggressive intravenous fluids may increase recovery rate. Please contact your veterinarian ASAP. Mechanism of action: The toxic effects are due to ethylene glycol and this product is pleasant tasting to animals. This will cause central nervous system depression and eventually lead to kidney damage. Treatment: There is an antidote and time is of the essence. The animal must be seen by a veterinarian ASAP. Notes: These contain pyrethrins and pyrethroids. Never use these on cats. Mechanism of action: Some over the counter flea products can be toxic especially to cats. These products are toxic to the nervous system. Treatment: There is no antidote but there are medications to control the seizures or tremors. Treatment is supportive depending on clinical signs. Must be seen by a veterinarian ASAP. Mechanism of action: Most rodenticides are vitamin-K antagonists. Vitamin K is required for a normal blood clotting response. Treatment: Effects are reversed with vitamin K administration. Must be seen by a veterinarian ASAP. 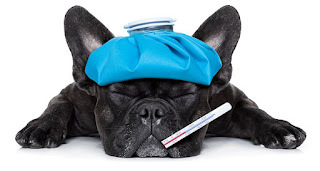 Mechanism of action: One of the products of acetaminophen when metabolized is a toxin that can cause damage to the liver in dogs and to red blood cells in cats. Treatment: There is an antidote. Please contact your veterinarian. Mechanism of action: When ingested, a percentage of THC goes into the bloodstream. Treatment: If ingestion is recent, your veterinarian may decide to induce vomiting and administer activated charcoal afterwards to minimize absorption. May need other supportive treatment depending on clinical signs. Please contact your veterinarian. You need not worry as all information remains confidential. We just want to take care of your pets. Mechanism of action: Affects the nervous system including the brain. Treatment: This is an emergency situation. The animal must be seen by a vet ASAP to be stabilized. An antidote exists depending on clinical signs being exhibited. Notes: These include pesticides, fly bait, etc. Mechanism of action: The product will cause a constant state of nerve stimulation. Treatment: There is an antidote. The animal must be seen by a veterinarian ASAP. Notes: These includes ibuprofen (Advil), aspirin, etc. Mechanism of action: Inhibits the protective barrier of the gastrointestinal tract leading to gastrointestinal ulceration. This product may also cause damage to the kidneys. Treatment: There is no antidote. Treatment is supportive for the ulcers and kidneys. Contact your veterinarian ASAP. ***Information taken from Secord Animal Hospital.